Creation Date Friday, 25 April 2014. This preliminary analysis ran from October 2007 to November 2010 and employed two of the most common industrial water pretreatment techniques, namely: microfiltration (MF) and slow sand filtration (SSF) or biofiltration. These two methods for water pretreatment have been compared side-by-side for over a year based on criteria including the removal of water turbidity, silt density index (SDI), volume level treated between cleaning processes, and protection of downstream RO. Based on the comparative study, SSF consistently produced feed water that was suitable for RO treatment at a less than 5 SDI. Whereas, MF generated filtrates with a SDI greater than 3, in which long-term and stable RO performance proved to notably increase using this microfiltration method. In conclusion, microfiltration and slow sand filtration pretreatment systems both performed effectively with similar economic costs, however, MF produced a better quality treated water and more stable downstream RO operations. With MF being the approved industrial water pretreatment method, the Central Arizona Project and other large-scale inland desalination projects in the future can maximize the advantages of RO treatment and address the growing demand for clean water. 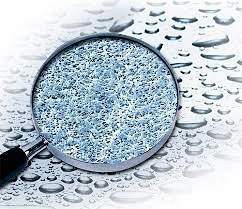 Aqua Solutions recognizes the impact of quality membrane-based water treatment solutions in the industry, and provides the most economical and highly efficient reverse osmosis pretreatment systems in the market. To view Aqua Solutions’ RO and other high-grade laboratory water purification systems, visit www.aquaa.com today.